"The technique is very simple, and every ingredient is to taste. So please use the ingredient amounts as a guide, and then add more of whatever until you have it exactly how you want it." Whisk tahini, lemon juice, olive oil, garlic, and salt together in a bowl until smooth and thick. Add warm water a splash at a time, whisking after each addition, until desired consistency is reached. Season with salt. Cover the bowl with plastic wrap and refrigerate until flavors blend, at least 3 hours. 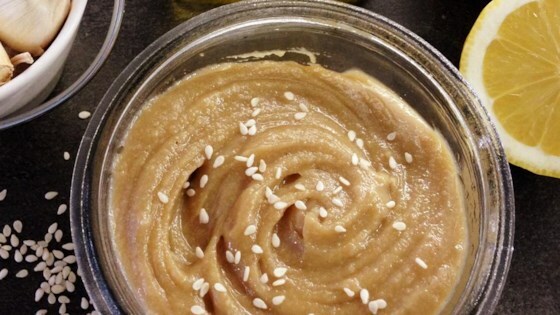 A delicious middle-eastern sesame sauce. I love this recipe. When I am making any recipe and it calls for tahini, I use this version of the sauce, it is my favorite so far. So easy and turned out very well. Goes well with buttered chicken and beef marsala.